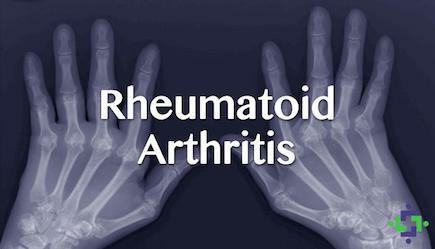 Rheumatoid Arthritis (RA) is a type of chronic arthritis that affects joints on each side of the body. It is characterized by joint pain, swelling, stiffness, and fatigue. Cannabis has been used to help treat the inflammatory symptoms of rheumatoid arthritis for years. Despite the anecdotal success, past research offers little insight into the mechanism involved in treating the condition with cannabis. A recent study to be published in Rheumatology does just that, suggesting that the benefits could be attributed to activation of the CB2 receptor. Before diving into the study, it’s helpful to know that fibroblast-like synoviocytes (FLS) are the type of cells most often associated with Rheumatoid Arthritis. They become constantly engaged in inflammatory mechanisms, which causes cartilage damage, joint destruction, and deformation over time. As we know, there are currently two widely-acknowledged cannabinoid receptors. Some suggest that more could exist, but not all are in agreement. Nonetheless, activation of the CB2 receptor, in particular, has shown promise in treating a number of inflammatory conditions. A team of researchers from China sought to determine whether a similar mechanism could be beneficial for rheumatoid arthritis. In doing so, they investigated the potential effects of CB2 receptor activation in FLS-cell types. According to their results, rheumatoid arthritis cell-types showed an increased amount of CB2 receptor expression. Further, activating the CB2 receptors seems to have inhibited the proliferation of the FLS cells associated with rheumatoid arthritis. In conclusion, the Chinese team of researchers determined that activation of the CB2 receptor – which occurs when one consumes cannabis – could be a potential therapeutic target of for those suffering from rheumatoid arthritis. Of course, the idea of applying cannabis extracts to the skin is nothing new. Cannabis infused topicals are a common method of treatment for joint pain because they allow patients to target the areas in need of the most relief.